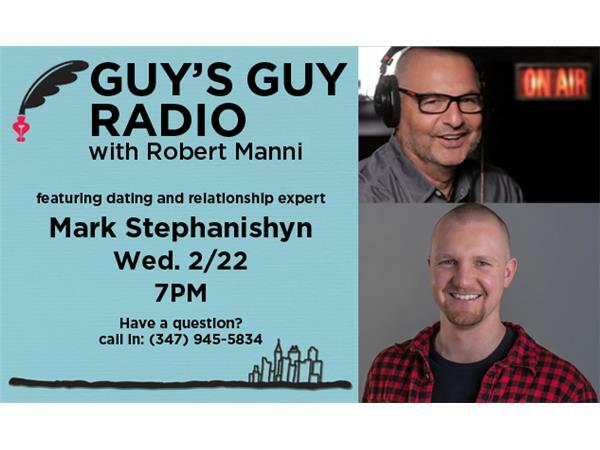 Mark Stephanishyn is the founder of Relationship Minimalism, a simple system designed to reverse-engineer the female body, to make her feel like the luckiest woman alive. There's no tantra and no communication skills required - just minimalistic tactics and ideas (based on science) to quickly update the skills men need to create loving long term relationships during the time of the ambitious and independent superwoman. Mark is the host of the Millennial Man Relationship Podcast and his writing has been featured on MindBodyGreen, The Good Men Project, and Elephant Journal. Have a question for Robert or Mark? Call in to the show at (347)-945-5834.